Dyson Parody claims the Kronenbourg 1664 Ranking 1 title! Dyson Parody wins the first ranking tournament of the season! 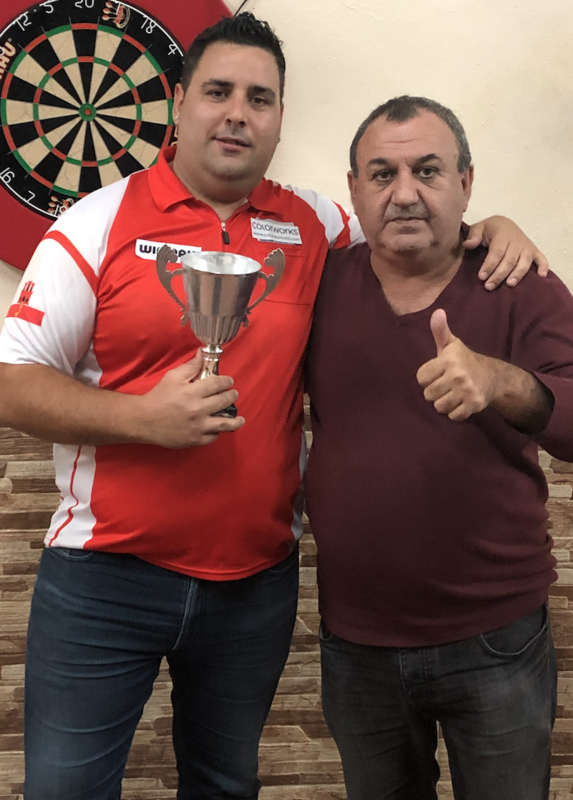 The new darts season took on a familiar theme with Dyson making it clear that he wasn’t prepared to give up his position as the top darts player in Gibraltar, despite the continual improvement of the younger players. Dyson threw darts of a consistently high standard, beating Luis Gaviso, Christian Tosso, Dylan Duo, Justin Broton and finally Sean King Negrette to take the title. There was a good turnout, with the top 35 players attending the College Cosmos for the first ranking tournament of the darts season, and there was certainly no shortage of skill, with nineteen 180’s and three ton plus finishes, with a number of games finished with 15 or less darts. Dyson didn’t have it all his own way, with close games in both the quarter and semi finals, winning both 5-3. The final itself, between Dyson and Sean though was a little one sided, with Dyson winning 6-1. Sean had been playing well up to that stage, beating Jerome Chipol, Justin Hewitt, Antony Lopez and Jarvis Bautista before facing Dyson, but couldn’t keep up with the pace of the master, and in the end had to settle for a well deserved 2nd place. High finishes Sean Negrette (152) and Craig Galliano (109 & 135).